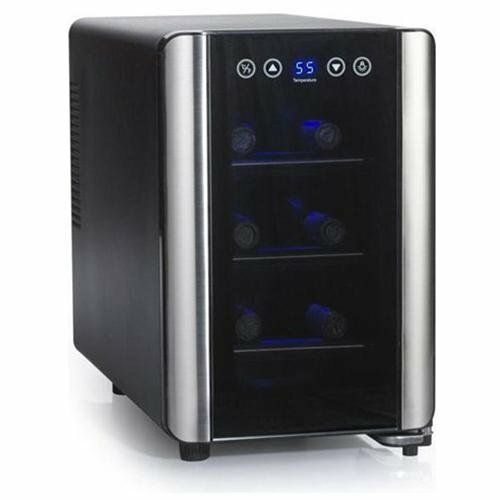 Wine Enthusiast Touchscreen Wine Cooler-6 Bottle is great for the 6 bottle wine collection. You don’t drink a lot, so this is perfect size for my small collection. 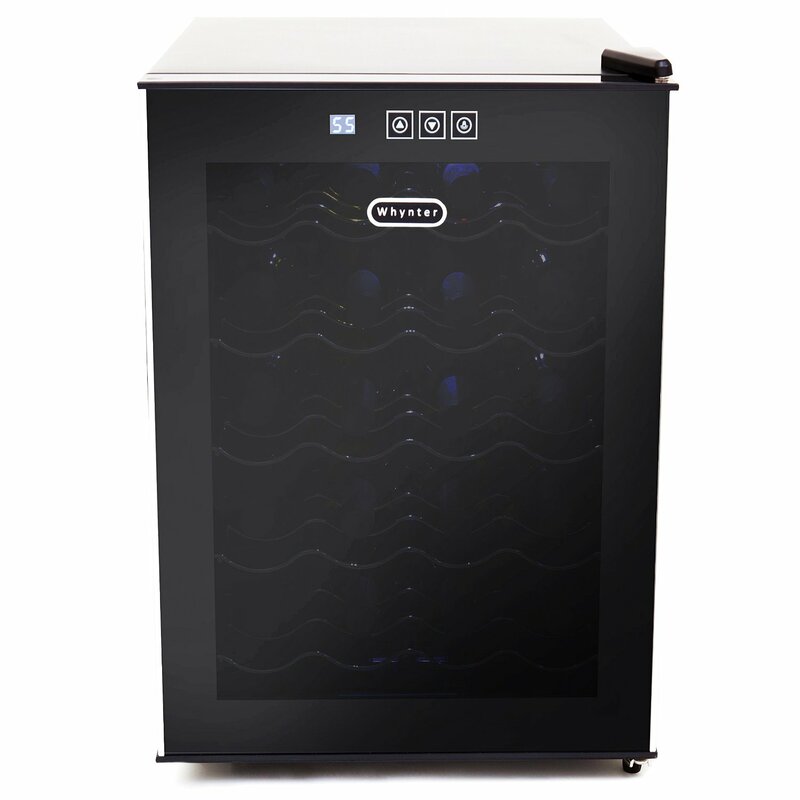 This is the Touch Screen Wine Cooler with the designer styling. 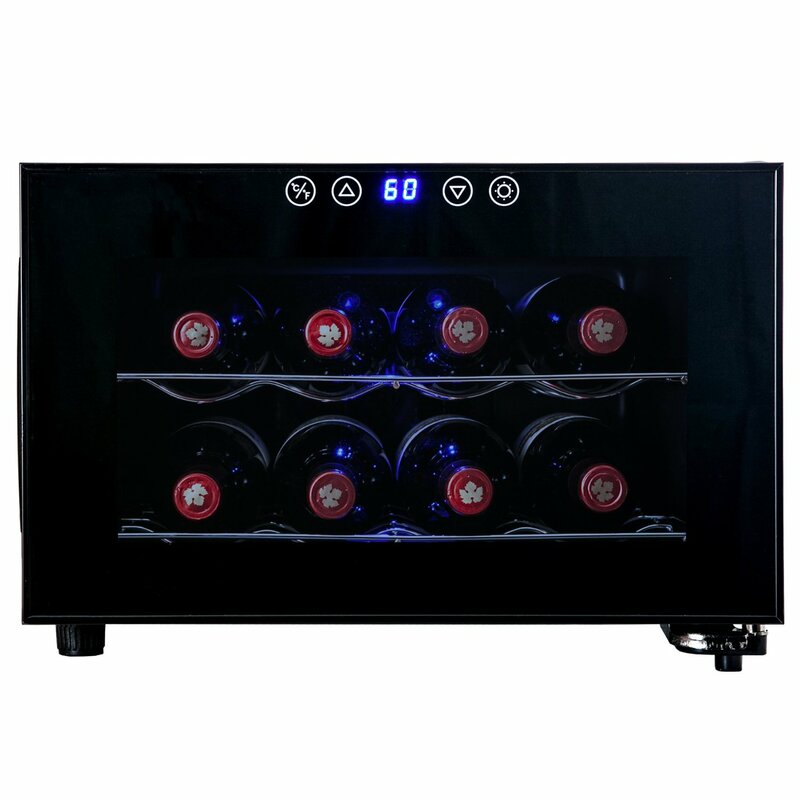 Its includes a Reflective Smoked-Glass Door.That Reflective smoked glass door protect Your wines flavor.The exterior digital touchscreen increases the convenience of Temperature Control. 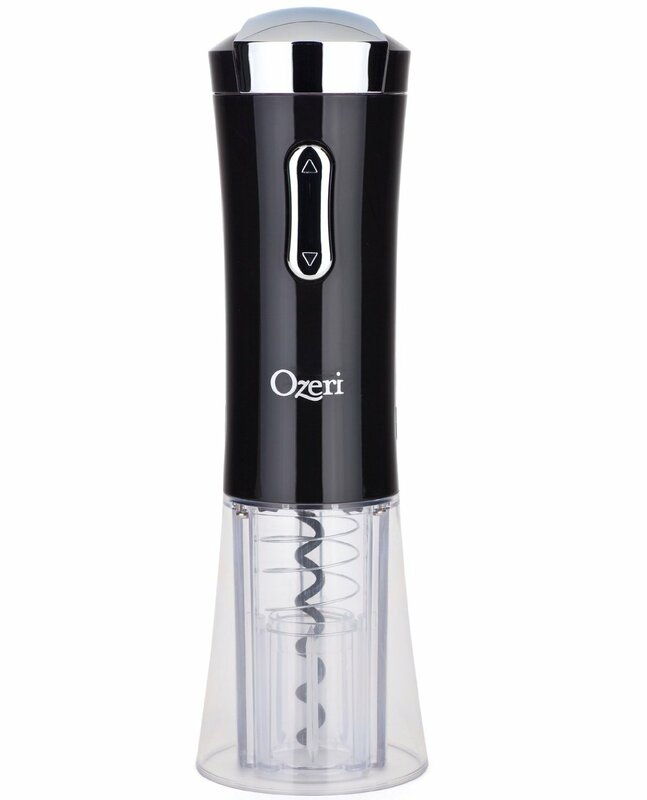 Its adjustable temperature range is 46-66°F. It automatically sets itself to 55 degrees. 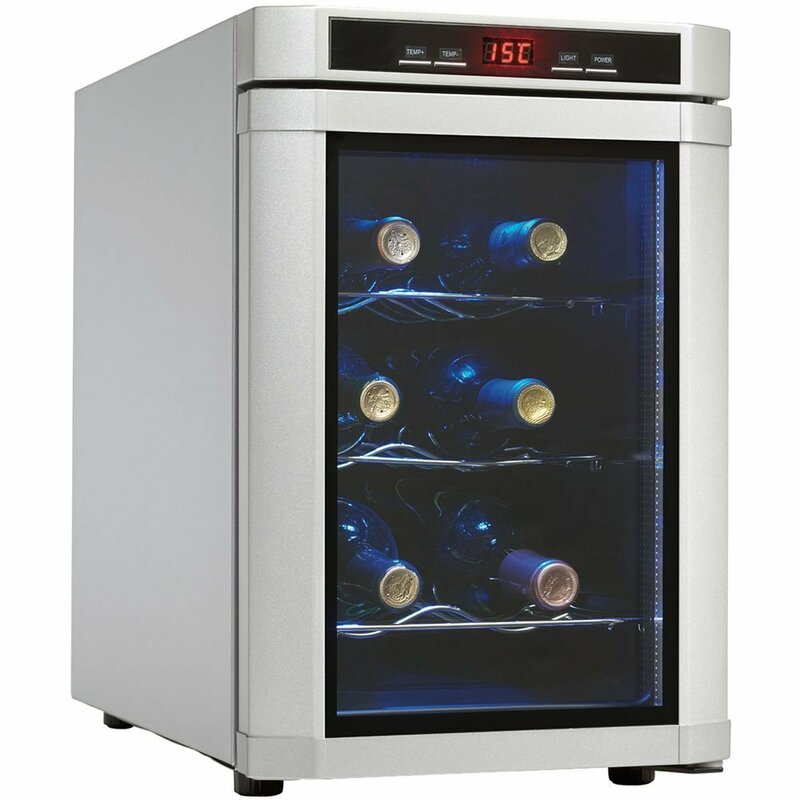 This is a ideal temperature for red wine. 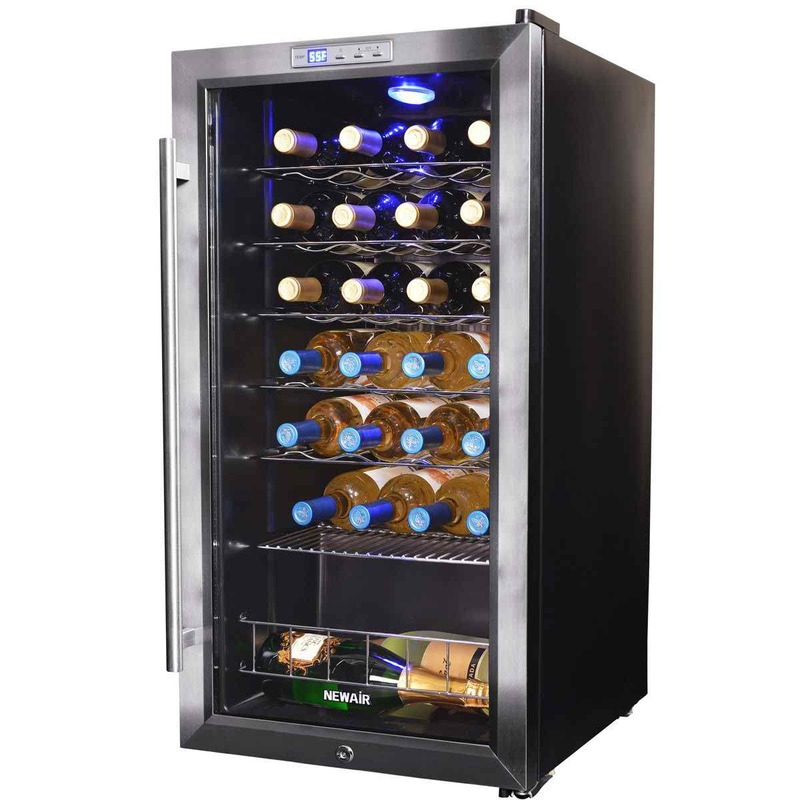 Its compact size allows You to place it on the floor of the pantry below the lower shelf- out of the way and handy. 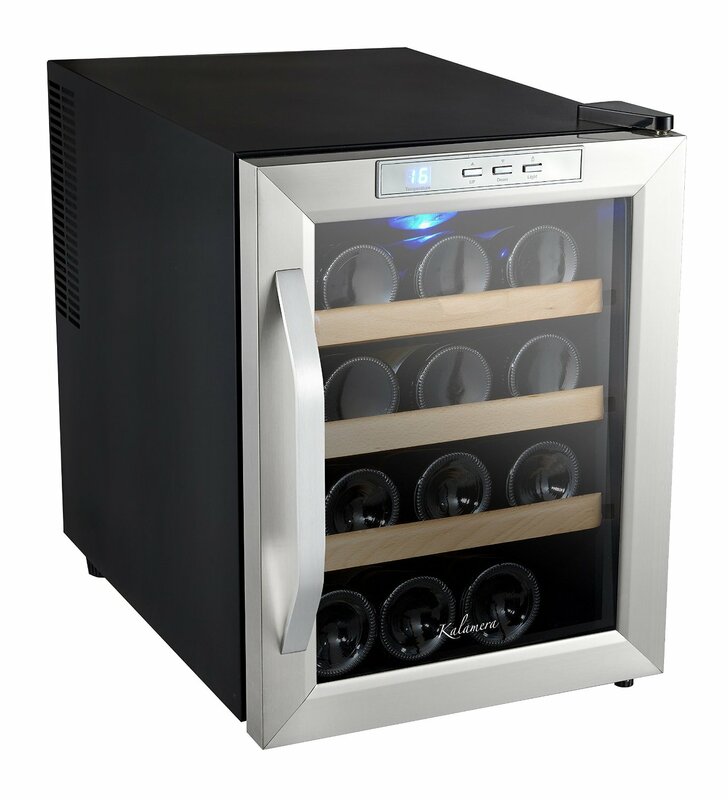 The sizes of Wine Enthusiast Touchscreen Wine Cooler-6 Bottle is 16″H X 10 1/2″W X 19 5/8″D. 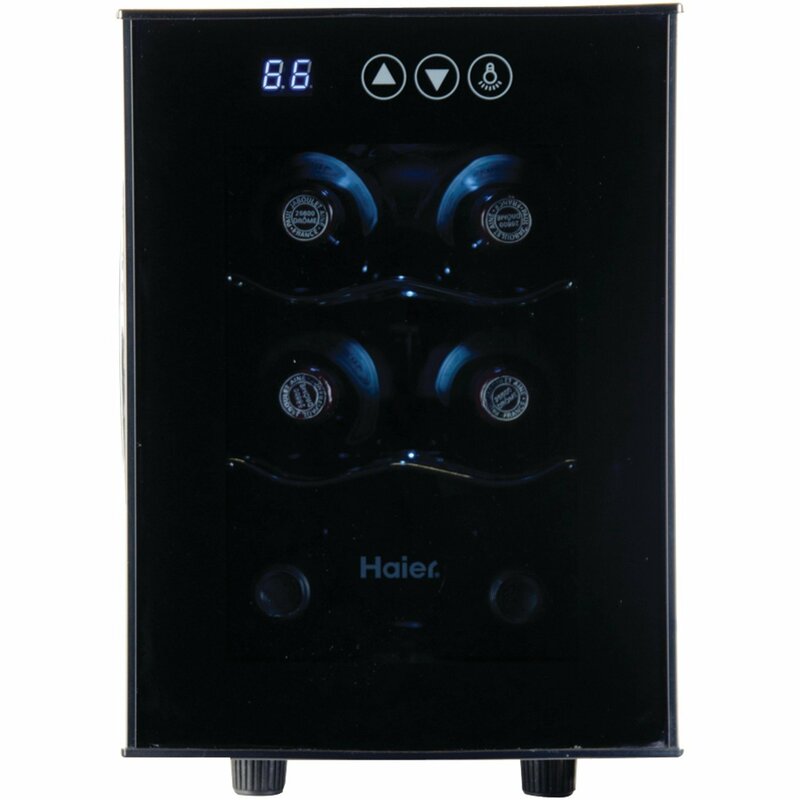 Wine Enthusiast Touchscreen Wine Cooler-6 Bottle has LED Lights inside the cooler. 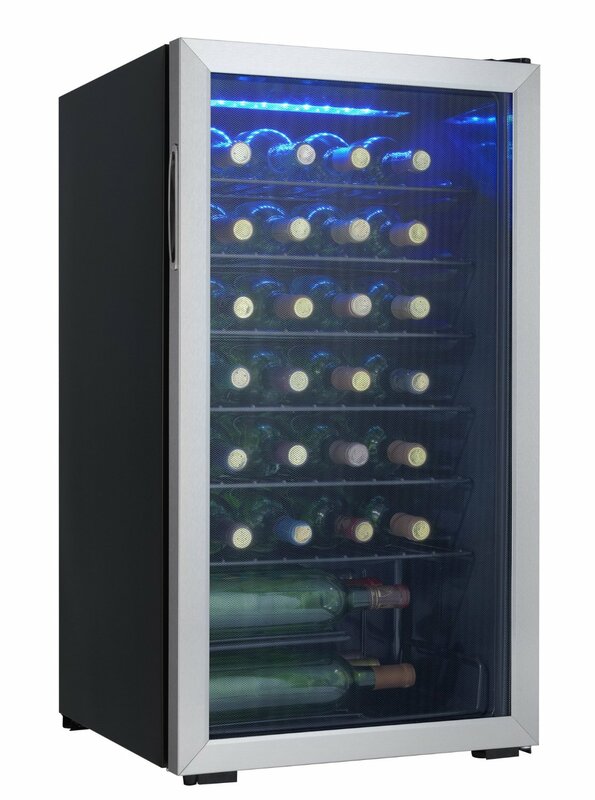 The LED Lights Illuminates Your collection.So You can easily access wines. 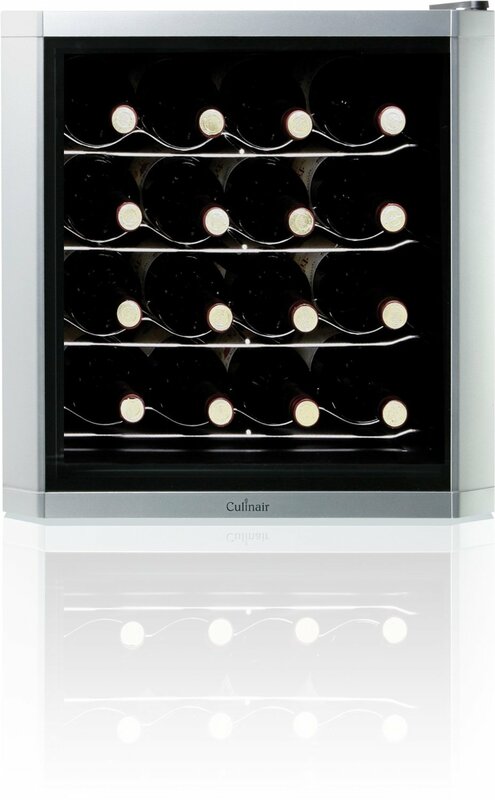 Wine Enthusiast Touchscreen Wine Cooler-6 Bottle is also has 3 Pull-Out Chrome Shelves. 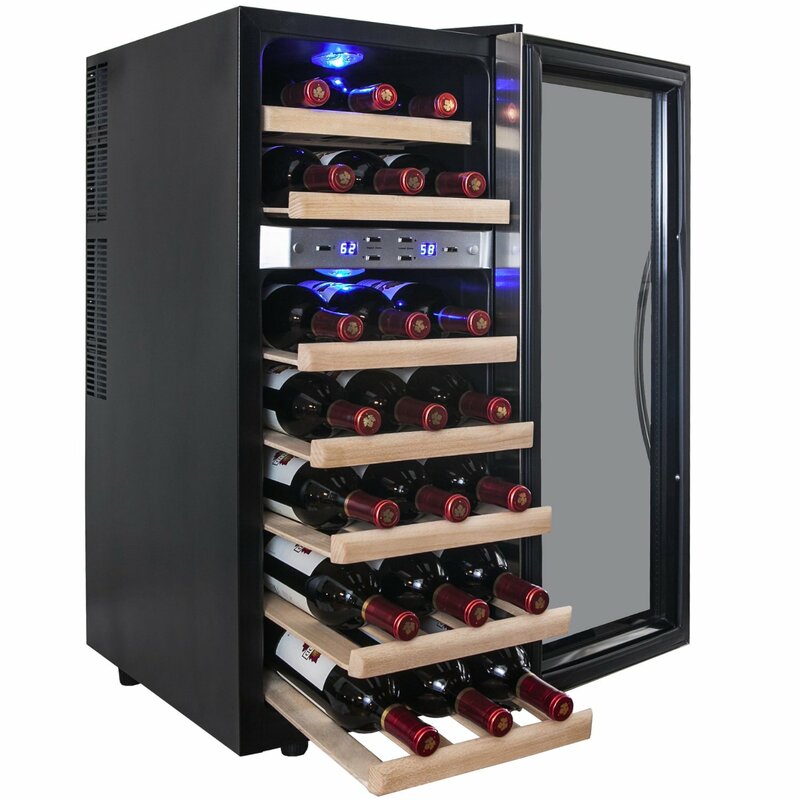 Shelving is meant to hold standard Bordeaux size bottles, using larger size bottles may limit the capacity. 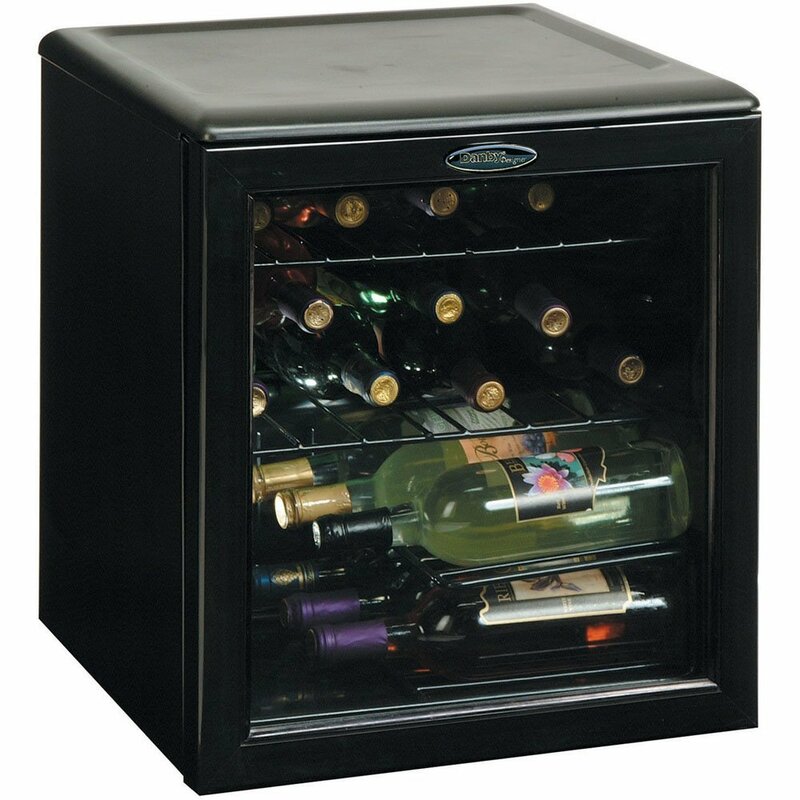 If you would like to store larger bottles you can easily remove any of the shelves. This will also prevent scraping the labels on the larger bottles. 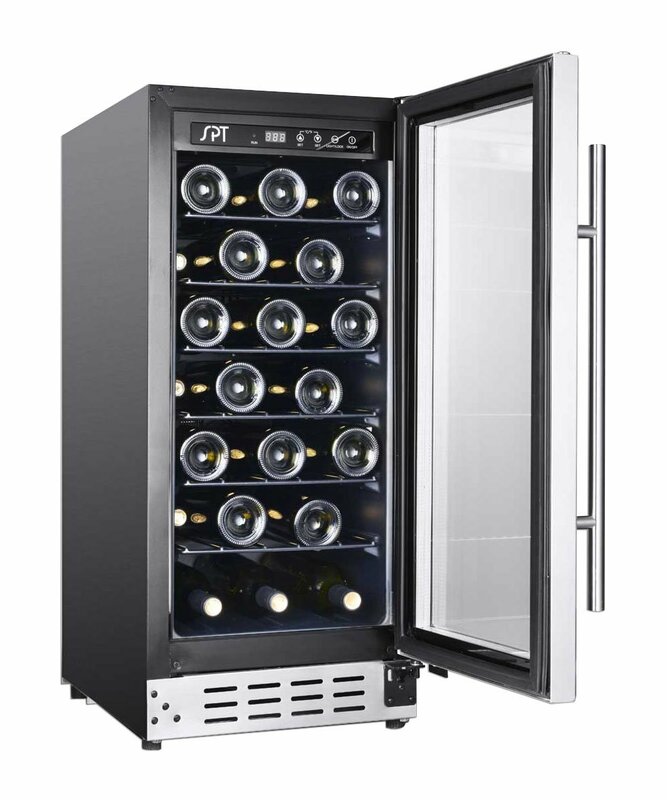 I got this unit to replace the VinoTemp model that I purchased a year ago. 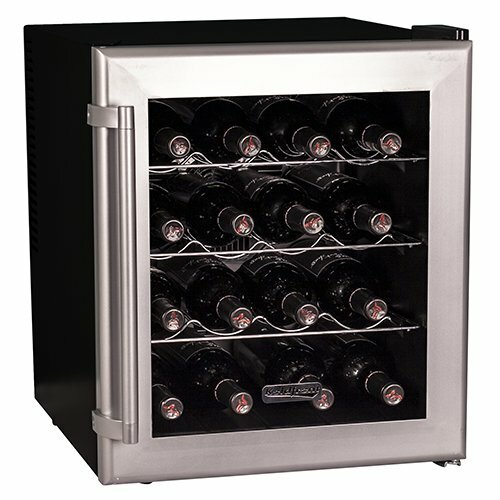 The Vinotemp only lasted a year and then it quit cooling and I spent 2 months and more money than I should have to try and fix it. 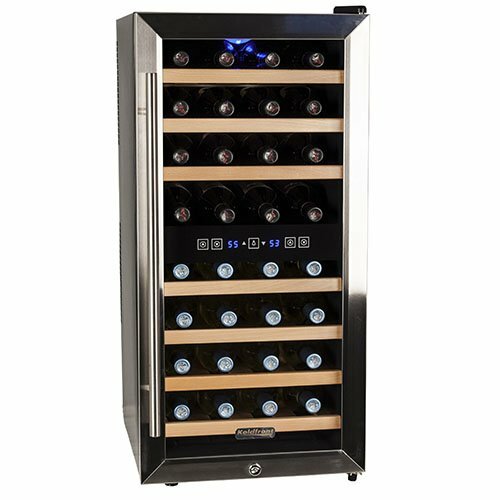 Vinotemp is not a customer service company so with that being said I am already really please with the Wine Enthusiast model. 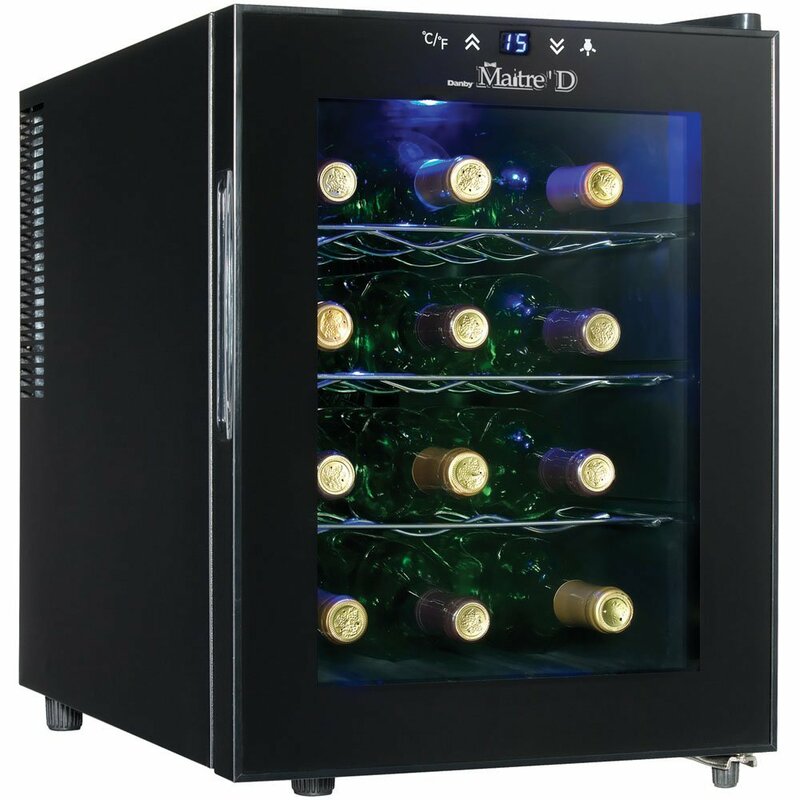 We bought this small wine cooler even though there were some mixed reviews. The price was decent and it looked good enough, so we tried it. Honestly, I don’t get reviewers. There’s so many comments on how noisy and/or how it wasn’t great. There’s no issue with this product at all! It’s super quiet. You can’t tell how nice this item is in the picture, but it is soooo nice.I was surprised at how good of quality it was, it is very sleek and quite. 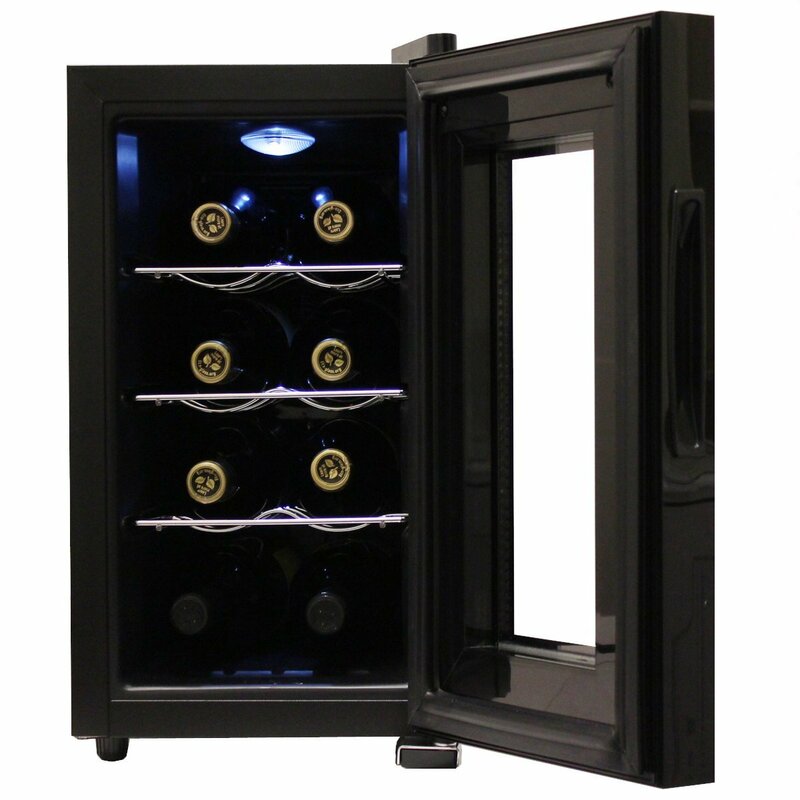 Very impressed when we opened it, the lighting is cool and it easily fits the bottles and the shelves are very sturdy. I like it so much more than I even thought I would. Great purchase, well worth it. 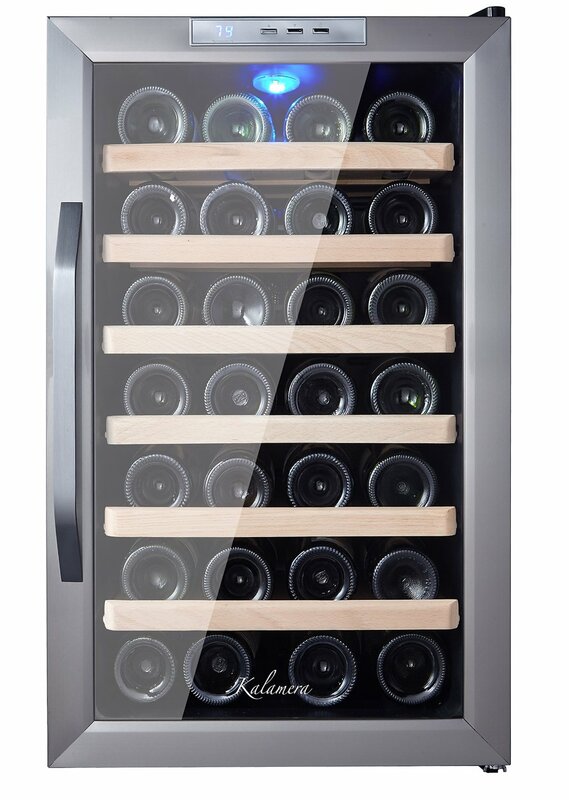 Just the right size for a beginning wine enthusiast. I wished it would have been a bit more quiet, but decided to keep it in the basement so I can’t hear it at all. 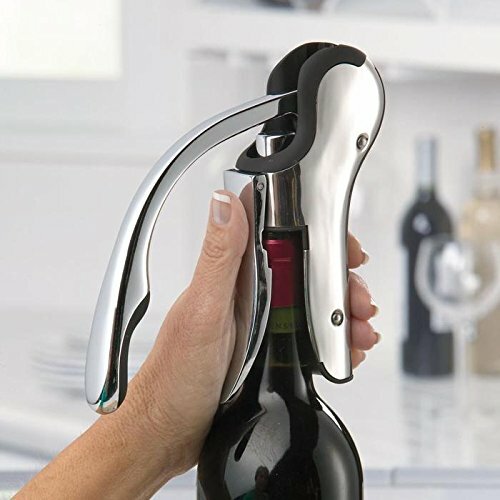 I would recommend this product .